This box was made to a specific remit with a separate watch tray and ring holders. The wood is African Hyedua (Ovangkol). The lid is made from 32 separate pieces to form a sunburst pattern. The tray is made from Maple and lined in black suede. "Mick, thanks so much for crafting the beautiful jewellery box to my wife's specifications. She is so pleased with it! The craftsmanship is the best I have seen, the quality of the woods, trim and fittings first class. And to see my wife's Longines watch sitting in a tray measured and crafted just for it is so satisfying. 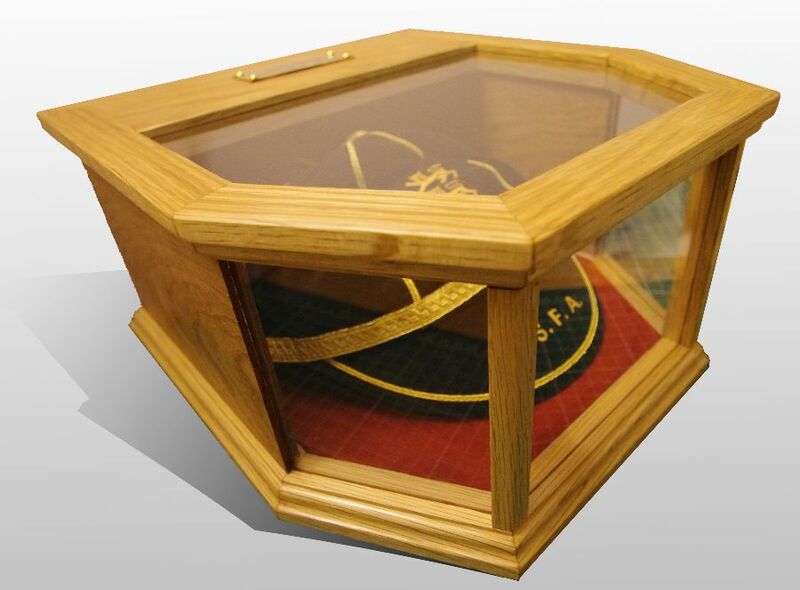 Having a hand made, bespoke, one - off box like this is a real luxury. Well done, and thank you."